A 218-member Indian contingent bagged a total of 66 medals to finished overall third in the 21st Commonwealth Games, which was held at Gold Coast in Australia from April 4 to 15, 2018. The medals included 26 gold, 20 silver and 20 bronze. This was India`s third best performance in the history of the CWG, the best ever being the 2010 Delhi Games, where as the host nation bagged 101 medals, which included 38 gold, 27 silver and 36 bronze. The second highest tally of 69 medals was achieved at the 2002 Manchester Games, where India finished with 30 gold, 22 silver and 17 bronze medals. India added another feather in its cap at the end of a fruitful campaign by clinching its 500th medal in the Commonwealth Games. Across 16 editions of the Commonwealth Games, India had a tally of 436 medals (156 golds, 153 silvers and 127 bronze medals) before these Games. India’s outstanding success helped it go past the 66 needed to reach 500. The historic 500th medal was the silver gained by Joshna Chinappa and Dipika Pallikal in the women’s doubles in squash. Rashid Anwar was the first medal winner at the Games, winning the bronze in the men’s 74kg wrestling in London, 1934. At the end of this tourney, India’s overall tally is 502 (182 golds, 173 silvers and 147 bronze medals). 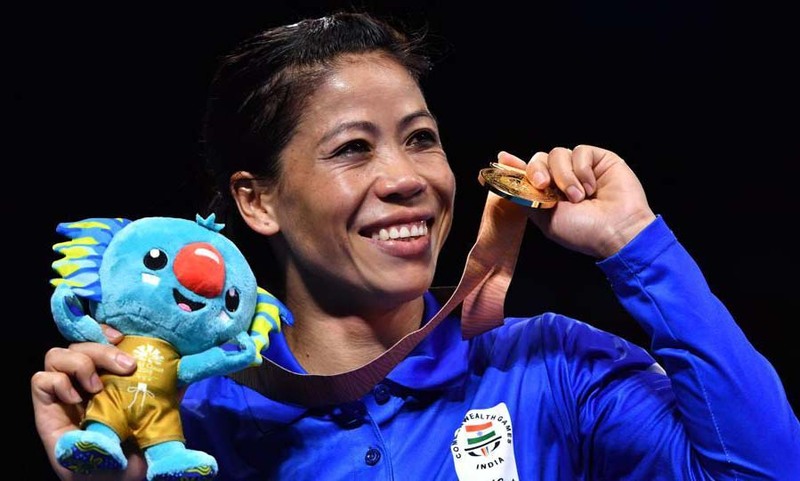 Badminton ace PV Sindh and boxing legend Mary Kom carried the Indian flag in the opening and closing ceremonies Gold Coast Games respectively. The 22nd Commonwealth Games will be held in Birmingham in England from July 27 to August 7, 2022. Around 500 competitors from 73 countries are expected to vie for medals in that edition. Following are the highlights and medals details of the Indian competitors in the ongoing Games. * India has competed in 14 of the 18 previous Commonwealth Games; starting at the second edition in 1934. * Woman weightlifter Mirabai Chanu won the first gold medal for India on the opening day. * Women boxer Maky Kom won gold medal on her debut in Commonwealth Games. * India won the badminton mixed team gold medal for the first time in the history of the Games. * Indian women table tennis team won first ever Commonwealth gold medal. 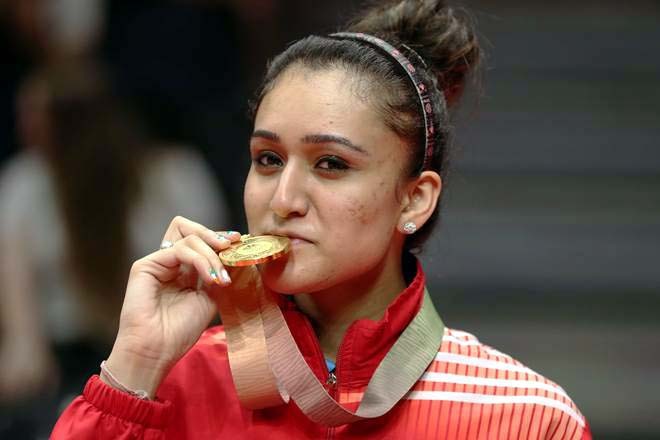 * Table tennis player Manika Batra was the most successful Indian in the Gold Coast Games, bagging a total of four medals, which included two gold, one silver and one bronze. * Anish Bhanwala, a 15-year-old shooter, became the youngest Indian ever to win a gold medal at the Commonwealth and also broke the Games record in the process. * After helping India win first ever women`s team gold, Mankika captured first ever women`s single gold and the women’s doubles silver. * Sushil Kumar made history by becoming the first wrester to win gold in three consecutive Commonwealth Games. * Neeraj Chopra became the first Indian to win a gold in Javelin and with his best throw of 86.47m, he created history. Athletics: 1. Neeraj Chopra (Men’s javelin throw). Badminton: 1. 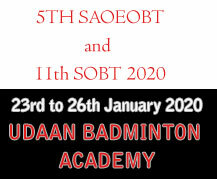 Mixed team (Pranav Chopra, HS Prannoy Kumar, Saina Nehwal, Ashwini Ponnappa, Satwiksairaj Rankireddy, Sikki Reddy, Chirag Shetty, Ruthvika Shivani Gadde, PV Sindhu, Kidambi Srikanth), 2. Saina Nehwal (Women’s singles). Boxing: 1. Mary Kom (Women’s light flyweight 48kg), 2. Gaurav Solanki (Men’s flyweight 52kg), 3. Vikas Krishan Yadav (Men’s middleweight 75kg). Shooting: 1. Manu Bhaker (Women’s 10m air pistol), 2. Jitu Rai (Men’s 10m air pistol), 3. Heena Sidhu (Women’s 25m pistol), 4. Shreyasi Singh (Women’s double trap), 5. Tejaswini Sawant (Women’s 50m Rifle 3 positions), 6. Anish Bhanwala (Men’s 25m rapid fire pistol), 7. Sanjeev Rajput (Men’s 50m rifle 3 positions). Table tennis: 1. Women’s team (Manika Batra, Mouma Das, Sutirtha Mukherjee, Madhurika Patkar, Pooja Sahasrabudhe), 2. Men’s team (Achanta Sarath Kamal, Anthony Amalraj, Harmeet Desai, Sanil Shetty, Sathiyan Gnanasekaran), 3. Manika Batra (Women’s singles). Weightlifting: 1. Saikhom Mirabai Chanu (Women’s 48kg), 2. Khumukcham Sanjita Chanu (Women’s 53kg), 3. Sathish Sivalingam (Men’s 77kg), 4. Ragala Venkat Rahul (Men’s 85kg), 5. Punam Yadav (Women’s 69kg). Wrestling: 1. Rahul Aware (Men’s freestyle 57kg), 2. Sushil Kumar (Men’s freestyle 74kg), 3. Bajrang Punia (Men’s freestyle 65kg), 4. Sumit Malik (Men’s freestyle 125kg), 5. Vinesh Phogat (Women’s freestyle 50kg). Athletics: 1. Seema Antil (Women’s discus). Badminton: 1. PV Sindhu (Women’s singles), 2. Kidambi Srikanth (Men’s singles), 3. Satwik Sairaj Rankireddy-Chirag Shetty (Men’s doubles). Boxing: 1. Amit Panghal (Men’s light flyweight 49kg), 2. Manish Kaushik (Men’s lightweight 60kg), 3. Satish Kumar (Men’s super heavyweight +90kg). Shooting: 1. Heena Sidhu (Women’s 10m air pistol), 2. Mehuli Ghosh (Women’s 10m air rifle),3. Tejaswini Sawant (Women’s 50m rifle prone), 4. Anjum Moudgil (Women’s 50m rifle 3 positions). Squash: 1. Dipika Pallikal Karthik-Saurav Ghosal (Mixed doubles), 2. 1. Dipika Pallikal Karthik-Joshna Chinappa (Women’s doubles). Table tennis: 1. 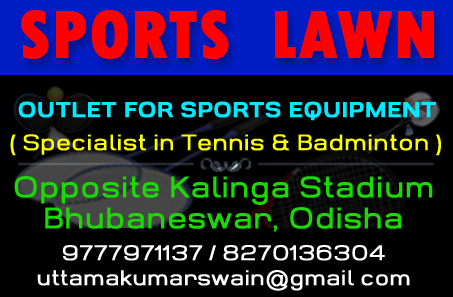 Manika Batra-Mouma Das (Women’s doubles), 2. Achanta Sarath Kamal-Sathiyan Gnanasekaran (Men’s doubles). Weightlifting: 1. Gururaja Poojary (Men’s 56kg), 2. Pradeep Singh (Men’s 105kg). Wrestling: 1. Babita Kumari (Women’s freestyle 53kg), 2. Pooja Dhanda (Women’s freestyle 57kg), 3. Mausam Khatri (Men’s freestyle 97kg). Athletics: 1. Navjeet Dhillon (Women’s disus). Badminton: 1. Ashwini Ponnappa-Sikki Reddy (Women’s doubles). Boxing: 1. Naman Tanwar (Men’s 91kg), 2. Hussamuddin Mohammed (Men’s 56kg), 3. Manoj Kumar (Men’s 69kg). Para powerlifting: 1. Sachin Chaudhary (Men’s heavyweight). Shooting: 1. Ravi Kumar (Men’s 10m air rifle), 2. Om Prakash Mitharwal (Men’s 50m air pistol), 3. Apurvi Chandela (Women’s 10m air rifle), 4. Om Prakash Mitharwal (Men’s 50m pistol), 5. Ankur Mittal (Men’s double trap). Table tennis: 1. Harmeet Desai-Sanil Shetty (Men’s doubles), 2. Manika Batra-Sathian Gnanasekaran (Mixed doubles), 3. Achanta Sarath Kamal (Men’s singles). Weightliftingh: 1. Deepak Lather (Men’s 69kg), 2. Vikas Thakur (Men’s 94kg). Wrestling: 1. Kiran Bishnoi (Women’s freestyle 76kg), 2. Divya Kakran (Women’s freestyle 68kg), 3. Sakshi Malik (Women’s freestyle 62kg), 4. Somveer Kadian (Men’s freestyle 86kg). TOP: Paddler Manika Batra, the most successful Indian at the 21st Commonwealth Games kisses her gold medal in Gold Coast on April 14, 2018. RIGHT: Legendary Indian boxer Mary Kom kisses her gold medal in Gold Coast on April 14, 2018.